We are a unique name in the industry to provide our prestigious clients an exclusive range of Truck Cover. We are the leading manufactures and exporters of Tarpaulins, Made out of High quality Ring spun yarn and manufacturer in latest sulzer looms. 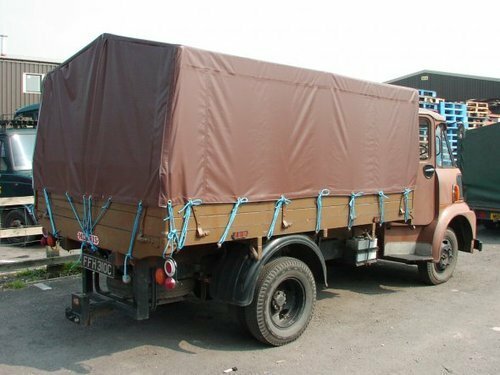 "MADURA COATS" Canvas Chemical Tarpaulin, Wax Proof Tarpaulin, Hdpe Tarpaulins, Hdpe Woven Fabric, Pvc Coated Polyester Fabric, Pvc Double Side Coated Tarpaulin, CAR & SCOOTER Covers. etc. We are also dealing SRF Brand Pvc Coated Nylon Tarpaulin, Fire proof Tarpaulins, silpaulin tarpaulins, PP ropes, Flora Brand Shade Net, Green house Poly Sheet Transparent Film, HDPE Grow Bags, Container Lashing Belt etc.and trader, involved in offering Safety Tarpaulin, PVC Tarpaulin, Tarpaulin Tent, Cotton Canvas Fabric and many more. Offered products are manufactured by using high grade material. Also we can supply As per ISI standard Cotton Canvvas Cloth, IS 2089, V.1 and V.2 and IS: 6803 Defence Standard Cotton Cavnas Olive Green cloth in various width, etc. Tarpaulins India is the most trusted name among the topmost companies in the market and commenced in the year 2006 as a Sole Proprietorship based firm. The headquarter of our corporation is located at Chennai. We are manufacture of our own brand RainCover TRADE MARKS REGISTRY. We are the foremost manufacturer, exporter and trader of Safety Tarpaulin, PVC Tarpaulin, Tarpaulin Tent, Plastic Tarpaulin, Plastic Fabric, Tarpaulin Cloth, Tarpaulin Cloth, Cotton Canvas Fabric and many more. These products are highly appreciated for their exceptional quality.